Designer Chris Martin saw a rack of freshly baked loaves in a bakery and found something instantly appealing about the risen bread against the metal wires. The idea became a sofa with thin steel tube side panels that enclose and lift the plump cushions. 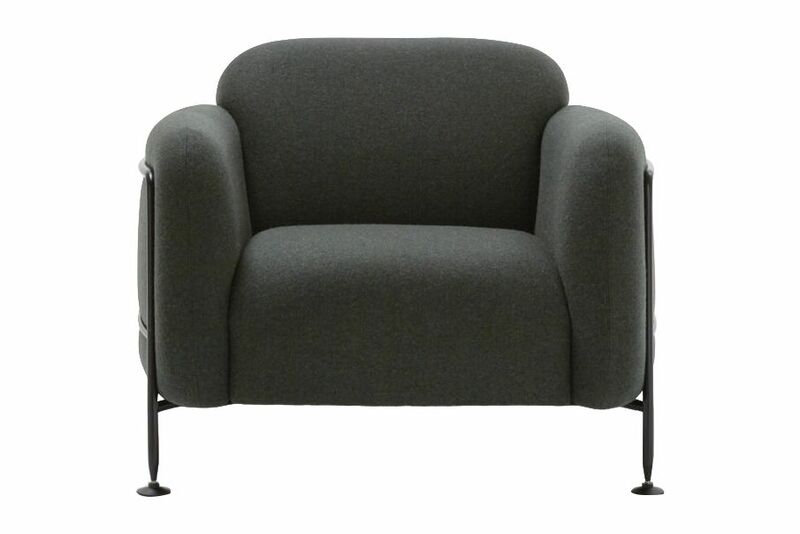 Mega offers superb comfort and sculptural expression to offices, hotels and homes.